Workshop Description: Through an open and honest conversation about some prevailing myths of Historically Black Colleges & Universities, the session aims to empower the participant to gain a renewed understanding and resources to further the conversation for others. 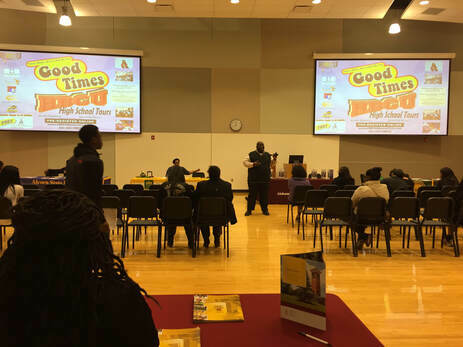 Throughout the session information related to the history, relevancy and diversity of HBCUs is explored through proven data, videos and testimonials. Will also introduce a useful resources to support the undergraduate admissions application process and access. If time permits, an insightful conversation on the "15 Things that Make HBCUs Unforgettable" will be highlighted. Construct informed decisions and offer guiding resources based on facts and authentic data to support the planning of a college-bound student. Presenter(s): Member(s) of the Cleveland Council of Black Colleges Alumni Association. Please note, we will make every attempt to honor requests based on the availability of our presenters. Session Time: Estimated 90 minutes. A/V Needs: Computer, projector, screen, speakers, internet access, possible microphone (depending on the space). Cleveland Council of Black Colleges Alumni Association, Inc.